I had an awesome Tuesday. In fact, I accomplished two things in one night that I consider to fall in the epic moment category. I had the opportunity to see Paul McCartney play at Fenway Park. Yeah, I know. And, if you haven’t already guessed, I am going to present a correlation between this moment and current technologies, both in education and our daily lives. My brother and his wife convinced me late Saturday night that I must attend and that I would regret not going. They had the opportunity to see Paul at Fenway in 2009 and recalled that it was an experience of epic proportions. I didn’t take much convincing. The next day I purchased a ticket. I will never reveal the price. Ever. When I arrived at the show, I followed the signs to my section, B6. I walked down an old, steel staircase that was probably an original piece in the Fenway construction. At the end of the staircase was an opening. In the opening I could see the Fenway Green and subtle sunlight peeking through in the foreground. As I got closer to the door I realised that I was underneath the left field foul pole. And to the right of it was the Green Monster. Undoubtedly the most famous left field in all of baseball. I walked through the door and placed my left hand on the Green Monster facade. I was touching history. So many great moments happened around that great wall of baseball. And I was touching it. I continued down to the field and stood at the foot of the Green Monster and looked up at its intimidating height. I slapped my hand against it to hear it echo. In this echo you could hear over one hundred years of heartache and triumph. But I wasn’t here to see a baseball field; I was here to see a Beatle. Sir Paul. would play in the bottom of the ninth, one out, man on third. As I turned and looked at my surroundings, I again realized how lucky I was and how few have gotten to enjoy this vantage point. The house music stopped and soon after Paul was on stage. The roar of Fenway launched into a frenzy that could only be rivaled by a David Ortiz home run. And amidst the cheering and repressed Beatlemania, I noticed something. Everyone had their phone out and raised in the air, including myself. As Paul finished, “Eight days a Week” I noticed that the phones in the air persisted. I snapped a few more pictures, but eventually put my phone away. As I did this, a few things came to mind. Have we gotten to the point that we attend events simply for others to see? Do we really ever experience an event if we are only half there, while the other half manages broadcasting on social media? Can I really say that I saw Paul McCartney if I watched 75% of it through my iPhone screen? As these questions traversed through my mind, I briefly reflected on modern experiences. Who am I here for, myself, or my audience? While I agree that sharing what we do is, as Dean Shareski put it, “our moral imperative” and a great way of connecting people to experiences, I find it hard to really experience a moment, a presenter, or, as Louis CK pointed out, Jesus coming back to tell people everything while I’m playing the role of broadcast journalist. So is the above statement true? Are we missing out on life, nature, and people while immersed in the world of social media, real-time reporting, and on demand conversations? Similarly, are some of our students missing out on learning important skill sets or the experience of getting lost in a book because they are seeing it all through a digital lens? Would I have been able to compose such a detailed recollection of my epic Tuesday night had I been glued to my phone’s screen? Or, am I doubling my experience by engaging my mind in two worlds at once? This is the conversation I would like to evolve, and that needs to happen about technology in the classroom. Let’s move the rhetoric away from which device is better and how kids can use social media to change the world, to how can we leverage new and emerging technologies to enhance and amplify student learning while experiencing, absorbing and processing the ride. Today is my last official day at Burlington High School. On Monday, I will take over as Director of Technology for Groton-Dunstable Regional School District on Monday. While I am excited and grateful for new challenges and opportunities, I’m finding it hard to imagine Burlington in my rearview mirror. For those of you who don’t know the story, I lost my job a few years ago due to Charter schools having the ability to cut four teachers and a principal in one day (July 19th to be exact) and replace us promptly with Teach for America interns. Before I had time to sulk, I wrote a post on this blog announcing I was available to work. Anywhere. I sent it through Twitter soon after and by the end of the day I received comments, direct messages, and replies to my search. It was then that I realized the potential of a network and how this connected group was there for me during a very difficult time. I realized that although distance separates many of us, a social network like Twitter, can easily bring us close together during difficult times and when we just simply want to share our experience. Eventually, I made a connection with Patrick Larkin who, at the time, was the principal of Burlington High School and Eric Conti, the Superintendent of BPS. I connected with Patrick via Twitter and eventually at Educon and Tech and Learning Forum in Burlington. To make a long story short, I packed up my house, my dog, and all I had, and shipped up to Boston. I interviewed for the Instructional Technology Specialist position and soon after accepted the job. My first days at Burlington were tough. Making that type of transition was difficult, but I soon found comforts in my new home. And, I had plenty of work to do upon my arrival. I spent the summer of 2011 getting acquainted with the tech team at Burlington. Together with Dennis Villano, Bob Cunha, Jose DeSousa, and Patrick, we began developing a launch strategy for one thousand iPads that would be given to all BHS students in August. We created EdCamp Tuesdays and invited all of our teachers as well as teachers from around the state to join us for open, optional professional development. We organized and presented the first MA Digital Publication Collaborative that brought together teachers from around the New England Area to curate, organize and share digital curriculum. We developed a student help desk course. And Dennis and I planned the first BPSCON which brought together the entire district for three days in August that was only rivaled by ISTE in options and size. For the BPS EdTech team it was a summer of firsts and a summer that helped put our district on the map. Looking back, the BPS EdTech team accomplished so much two years since I arrived. I feel lucky to have been a part of such a progressive group of administrators and teachers. The hardest part of my transition will missing out on those conversations every morning in the “war room”. I’ll miss the dynamic teachers at Burlington who jumped on board with our tech plans and showed the world how technology can impact a classroom. But most of all, I’ll miss the students I’ve had the privilege to teach. I’ll miss their insight on current events and their energy for learning. I know, it sounds cheesy and cliche, but I can honestly say I’ve learned a lot from them and hopefully I was able to impart some wisdom to them. During my time at Burlington I realized that change happens quickly. Whether it’s technology or the human element, change in the 21st century is inevitable and quick. There is no escaping it. However, it’s imperative to remain grounded and dedicated to initiatives and goals before moving on to the next thing. This is one of the most important things I learned while at Burlington. Apple reminds us of this in their latest ad campaign. This says it all. Our EdTech team at Burlington Public Schools didn’t seek out to reform education, remix it or even transform it. We simply wanted to give our students and teachers the best opportunity to thrive in a world that is constantly evolving and demanding change. We made selfless decisions with the students in mind above everything else. And in the end we endured criticisms and compliments. We spent time on a few great things and, in the end gave our students and teachers an opportunity to show the world what educational technology can be. Over the course of two years, I, along with the BPS Tech team, had the opportunity to meet and connect with over one hundred schools. The discussions usually involve what device works best in the classroom and how the iPad is affecting teaching and learning outcomes. Usually this conversation is focused on what hardware works best for teaching and learning. While this is an important decision to make, it should not be the focus. In fact, the best devices a school can employ are great teachers. We have reached a point in education technology where devices are, for the most part, adaptable. Most of the programs a school uses throughout a typical day are web-based and hardly anything is stored locally. At Burlington Public Schools, our Director of Instructional Technology, Dennis Villano, likes to take someone’s iPad and make the motion as if he were going to smash it into a million pieces. This hypothetical simulation is a great example of how little hardware actually matters anymore. While both the iPad camp and the Chromebook camp will argue their respective device is superior, I can easily envision both working well for a variety of content area classrooms. In fact, the idea of going all in with a singular device is starting transition. 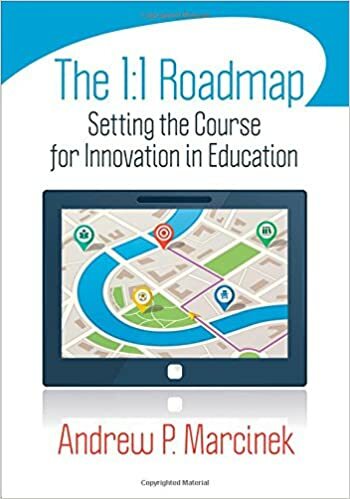 What School districts and administrators can control is the ways in which they create and foster a culture of adaptability before instituting a 1:1 environment. As I mentioned earlier, the best device a school can roll out is a teacher who can adapt to new and emerging technologies, does not always require formal training for learning and staying current, and is not tethered to a product (PowerPoint) in order to teach. Education technology will continue to progress and part of this evolution will be for students and teachers to stay current with both curriculum and digital literacy. Even in the absence of technology, a great teacher will continually seek out ways to engage his or her students in great lessons, simulations or challenges. To illustrate the points I’ve made, I’ll share a story from a school visit we had last week. We had a visitor from Perth, Australia visiting our High School and while our visitor expected to see iPads being used to engage and instruct, what she actually saw was fly swatters. Yes, fly swatters. We walked into Todd Whitten’s class and witnessed two students at the front of the board slapping fly swatters over terms projected on the wall. The concept was novel, yet effective. Some students were using their iPads to record the review via Evernote, while others watched their classmates have a debate at the board over the subject at hand. Basically, Todd was providing a prompt, students had to slap the term on the board that coordinated with that prompt, and then discuss or debate their reasoning. Regardless of the devices or applications the students were engaged. And I am certain there are many other classrooms out there like Mr. Whitten’s classroom. I’m certain that the use of technology can be veiled by innovative learning goals and objectives. I’m certain that Todd did not need training on the technology he and his students were using at the moment to create an engaging lesson. The simple point is, Todd can adapt to the environment and challenges he faces as an educator. Which is why his classroom desk design is never the same. He not only adapts to new and emerging technologies and teaching strategies himself, but challenges his students to adapt to different classroom designs daily. Contrary to my assertion is that sentiment that teachers don’t have enough time to learn new things. Or, that professional development must come during contracted hours approved by a union. And that is fine. Eventually these “educators” will be replaced as quickly as the technologies and progressive pedagogy (alliteration breakdown: say it five times fast!) they refute or hold on to for dear life. What will sustain is the teacher who is constantly curious, driven by the possibilities of his or her classroom and never satisfied with repeating lessons and practice. Devices come and go, but progressive teachers who adapt will sustain longer than any device. One of the elements I enjoy most about being a teacher is the element of surprise. I’m referring to that moment when a student, or group of students really amazes you. You mentor these students, give them your best as a teacher day in and day out without any required thanks, and occasionally this student or students unintentionally returns the favor in the form of intrinsic motivation. They’re driven because they find purpose in what they are learning or doing. This couldn’t be more evident than with my help desk students who are organizing and running EdCampxEDU. This is the first, to my knowledge, EdCamp designed, organized and carried out entirely by students. While I have been an advisor to these students, I have remained on the periphery of this project. Initially, I met with students who were interested in organizing this event and gave them the run down on what the format was and how an EdCamp functioned. Having organized three ntcamps (an edcamp format for new teachers) and created and run EdCamp Tuesdays at Burlington High School along with Dennis Villano, I knew what it took to make an EdCamp work. It’s a daunting task for any team of organizers. “I designed, organized and carried out an education conference“. Yesterday Burlington Public Schools did not have wifi for the entire day. I know, all bold, OMG, Exclamation point. The cause was a fire in Boston that disrupted our service. The situation was out of our control and we could only wait. Early in the day there was slight panic, but it eventually subsided by the afternoon. Students took to their backup generators (personal smartphones running on data plans) and teachers sought the opportunity to revise digital lessons, integrate simple conversations, and go about the day as if nothing had happened out of the ordinary. And this simple, yet profound occurrence got me thinking. In all facets of our lives we are becoming increasingly dependent on technology. In Burlington, we have a lot of technology throughout the district. There are roughly two thousand student iPads (wifi only), roughly 400 faculty and staff laptops, and all of the personal devices we bring on the network on a daily basis. We’re continually shifting our resources to digital formats and relying on digital workflows to manage our classrooms. What’s lost with consistent technology use is the simplicity of the time before technology and how to function in its absence. Shelly Turkle discusses this idea in her work, “Alone Together”. It’s a worthwhile read and also comes in the form of a TED talk. She discusses the idea of screen time and how we have gone from a society where we pick up a phone to share a feeling, to a society that posts something online to receive a feeling. Networks, and the technology that we use to access them make us all feel as though we belong to something and are a somewhat active participant in major events. However, most of us that grew up and know how society functioned before the dependence on technology can step away occasionally and appreciate life without technology. Those who have only know this world, have a harder time. A few years ago I wrote a post titled, “Focus”. My assertion was that the hardest skill for the 21st Century learner to master would be focus. And I still believe this to be true. How will our students function in the absence technology? How will they ever appreciate the concept of listening to a speaker, processing the remarks, and formulating a well-thought response that may or may not elicit a constructive debate? How will this generation react when the wifi goes out? I’ll argue that this is not a simple “technology is a distraction” discussion, rather technology has become a mild addiction for many of us and for our students. It’s wise to step away occasionally and engage in simple conversations or listen and observe what lies beyond the glowing screen. When we do this, we reconnect with ourselves and gain a deeper understanding of the world around us. We reconnect with real conversations, real emotion and real relationships. Experiencing a day when the wifi goes out is a great learning moment. It reinforces our appreciation for what we have and what we are missing. Therefore, I’m posing a challenge. Take a few days each year, month or week and turn off the wifi. Remove yourself from all technology and experience the world, people, and conversations happening around you. It finally happened to me. I thought I had time. I figured at least twenty more years and several more gray hairs. No. It happened two days ago at Shaws Grocery Store. I had to make a return trip to the grocery store on Super Bowl Sunday to purchase Avocados that were ripe. Earlier in the day I had purchased Avocados and soon found out that they were a few days away from being ripe. I went to Shaws, purchased three ripe Avocados, and proceeded to the “12 Item or Less” self-checkout lane. I’ll usually go to the clerk when I have produce because I feel like I can never find what I am looking for and I hate to hold up the fast lane. Normally, it would have been a quiet Sunday at Shaws, but it was two hours before the start of the Super Bowl. The checkout lines were vaguely reminiscent of the lines to get in the Superdome in New Orleans. As it came time for me to checkout, I felt the pressure of the five people queued up behind me with their items. Normally, I am fine in these situations, however; I had a quick flashback to my days as a checkout boy. I always dreaded the random produce lookup. And now, here I was about to enter that turf again. I was going to have to quickly find the avocados, enter the amount, and check out. I completed all of these tasks rather quickly and then scanned my card and completed the standard prompts. After I got through these prompts, I waited. And waited. My brow started to bead up as I could see the people behind me checking their phones and watches for the time. Each letting out a subtle sigh in my general direction. I continued to wait while the machine processed. Then, I felt a tap on my left arm. A voice followed that said, “You have to push the Credit Card button on the screen so it can finish.” I pressed the button, the transaction finished, and my receipt printed. My face red, my countenance feigning coolness. As I walked away, I realized that I had failed my line. I stood there and waited for the technology to work for me. I didn’t ask anyone how to get things working because I was too proud. I know technology! It’s my thing. It’s all over my resume. How could I lower myself to ask a question with my credentials in the category of technology and education? But my simple pride, in this moment, cost my line some time. Trivial time, no less, but still, the situation stayed with me as I walked out among the snack-purchasing masses. Over the course of a weekend where I failed my line, the lights temporarily failed at the Super Bowl in New Orleans, and I read a study published out of Queensland University of Technology on “Why parents need to let their children fail”, I felt like I was in good company. What I learned from all three of these events is that we can learn a lot from not knowing or being right. As educators, there is a stigma that we are all knowing and should never seem intellectually vulnerable in front of students. While I agree that we should all be competent in our subjects, I disagree that we should expect to be perfect. It’s just not healthy. 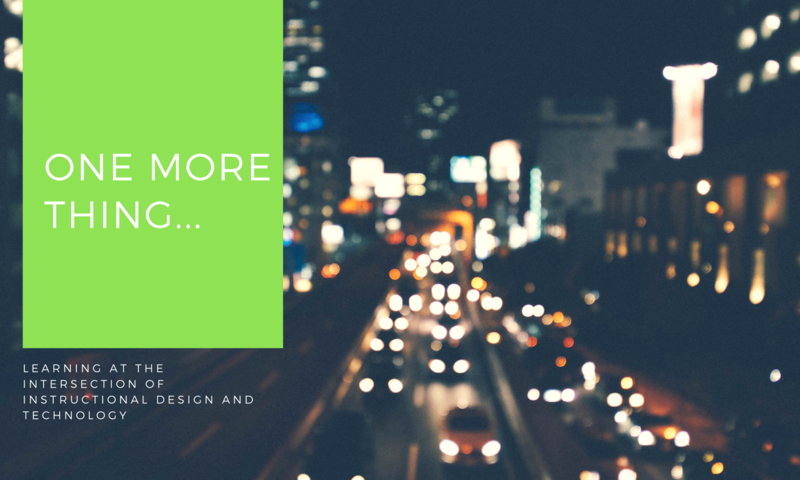 What prevents us from trying something new- whether that something is trying new application, asking a student how to AirPlay an iPad, or a designing a new pedagogical approach- is our fear of that something not working correctly. We want and demand perfection. And there’s nothing wrong with that. More often than not we stay home and stay safe, in our comfort zones. I could have easily went to the line with the checkout clerk and knew immediately that the onus of ringing up the three avocados would be passed off to someone else. However, I took a simple risk despite the pressure of growing lines and the chance that I would not succeed. I was cocky and thought I knew it all. I didn’t need anyone to help me. I get technology. We speak the same language. But, I was wrong, however; I quickly learned because someone interjected to help me. And I was thankful for her assistance. Maybe if we took more risks in our classrooms, even at the cost of it not working correctly, immediately, maybe our students wouldn’t be so hesitant to strive to draw outside the lines occasionally to create or share something great, something new. This is the school culture we need to develop. Schools need a culture where students and teachers take calculated risks and ask more questions in order to further their learning. What I remember most about this simple trip to Shaws for three avocados is that I learned something new. I learned that when I swipe my checkcard before pressing the button on the screen, nothing will process. I also learned that things, especially technology, don’t always go as you planned. Even on the biggest stage in sports and television, technology will go awry. If I had selected the line I always go in with a sales clerk, nothing would have changed and I would have never had the opportunity to share this novel story. Tomorrow starts a new semester at BHS. I get the opportunity to meet new students and start fresh in both of my classes: Digital literacy (Web 2.0) and student technology integration (BHS Student help desk). I’ve revised each course to keep pace with the ever-changing content each course requires. Plus, I get bored quickly. And that’s why I consistently reevaluate and rethink each course I teach. I imagine myself in the seat of the student. Would I want to sit through this? Is this appealing to me? In my time? Are the assessments challenging and purposeful? If I answer no, it’s scrapped or reexamined. This simple exercise is healthy practice for all teachers to maintain relevancy in a ever-changing classroom. While I agree that some content remains consistent, the way in which we present and assesses will always have room for change. If we, as educators ever find ourselves comfortable, we’re probably not teaching to the best of our ability. A comfort zone has no place in education.